There’s nothing better than having a reliable vehicle. If you can drive a new Volkswagen Jetta, Passat, Beetle, Golf Sportwagen, CC to 100,000-, 200,000, or even 300,000-mile marks, that’s a big source of pride. Or, maybe you figure your car will be passed on to another owner that’s close to you one day. No matter what, you want a vehicle that lasts. So, what’s the best course of action to achieve that goal? You can start by following the recommended car service and maintenance schedule from the manufacturer itself. Leaving your vehicle in the hands of our specialists can take care of routine check-ups, diagnostics, and many different repair needs. 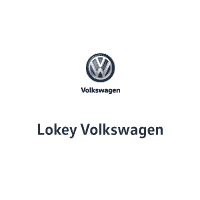 To schedule an appointment with us, submit a form online, or give the Lokey Volkswagen service department a call. We’re happy to work with you, and keep you and your vehicle on the road safely and confidently for a long time to come.